Stickers are such a cheap and fun learning tool. 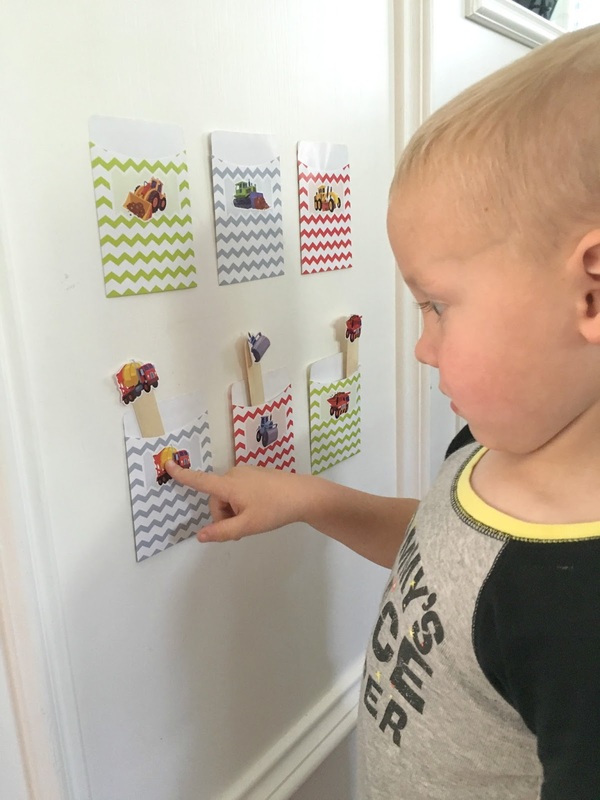 Last week we did a sticker wall activity that was really simple to make and stayed up all week. Today we are sharing a simple sticker library card pocket matching game for preschoolers. Library card pockets are awesome to use for all sorts of learning activities like alphabet matching and number pocket activities. 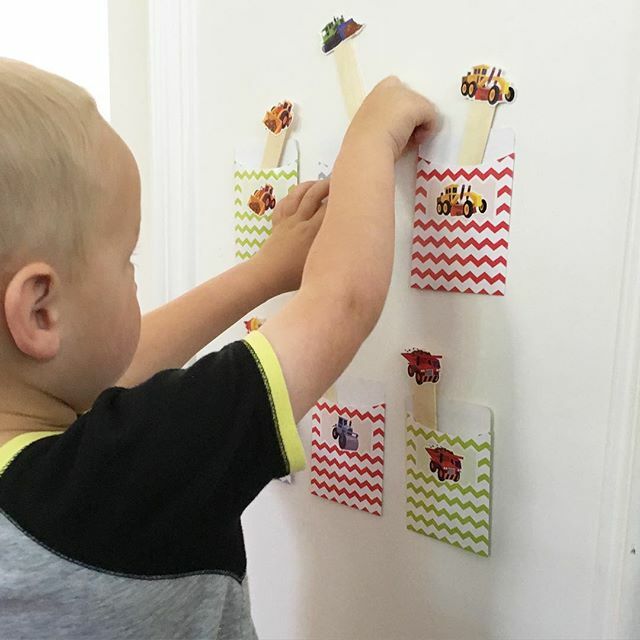 One of the main reasons I love using stickers with kids is because peeling them off sheets and sticking them onto different surfaces makes for an excellent fine motor activity! As kids peel and stick they are strengthening their finger muscles which leads to stronger fingers for writing and drawing! To get started you need to make sure that you have two identical sheets of stickers to use. 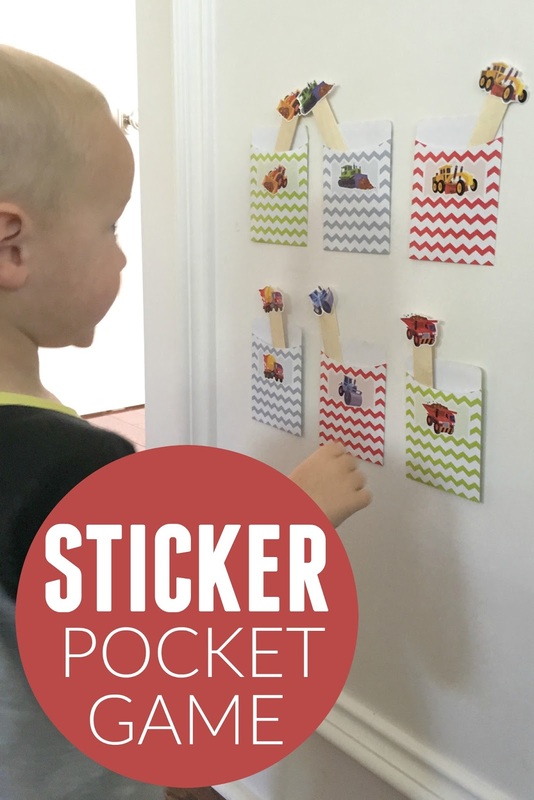 Stick one sticker on a library card pocket and the other matching sticker on a craft stick. We decorated about six pockets/sticks with stickers. For older kids you could do several more. My 5-year-old created her own set of sticks/cards while my 3-year-old helped me make his set. Once the library card pockets and craft sticks had stickers on them then we stuck the library card pockets to the wall using painters tape. Next put all of the craft sticks on the floor in front of the library card pockets and encourage your kiddos to start matching! This is a great simple visual discrimination activity. Visual discrimination is really important, especially as kids begin to read and are trying to discriminate between the different alphabet letters (is it a "b" or a "d"?). Training kid's eyes to look for similarities and differences in images is a great way to get them focusing and practicing. Once all of the stickers are matched in a card you can take them out an match them again. 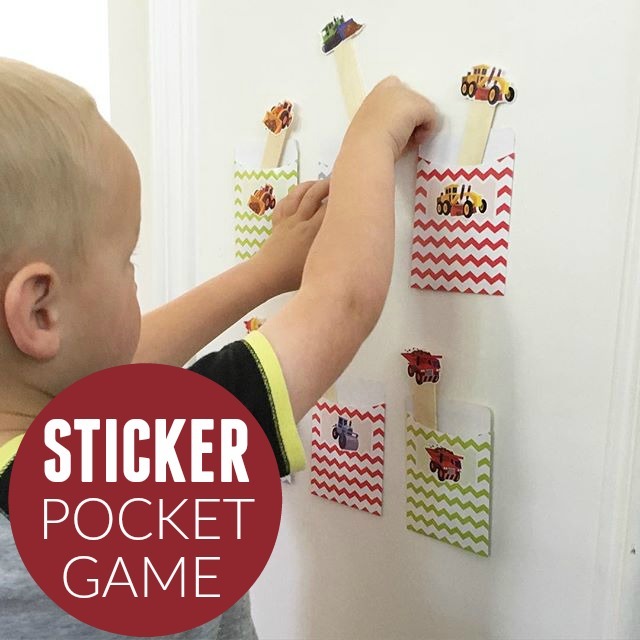 You can also use the craft sticks with stickers on them for pretend play and have the vehicles (or whatever you sticker you use) drive into the pockets or jump or whatever. Do you have any other favorite ways to use library card pockets?